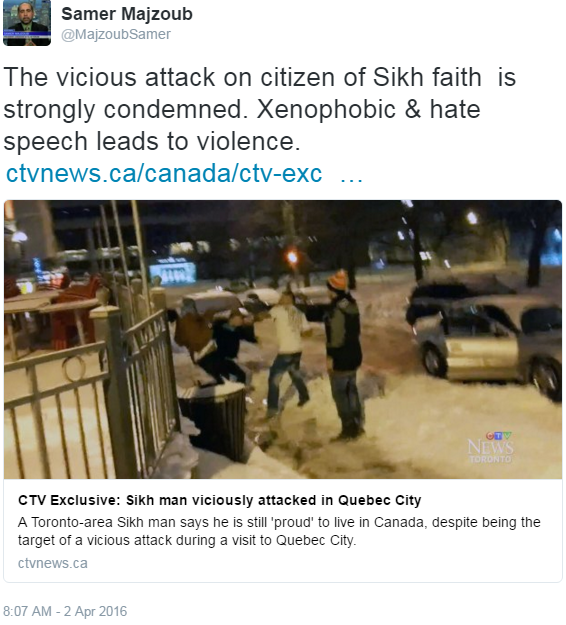 Tweet on the vicious attack on citizen of Sikh faith in Quebec city! Comment:on the vicious attack against citizen of Sikh faith in Quebec city.Stop hate speech. 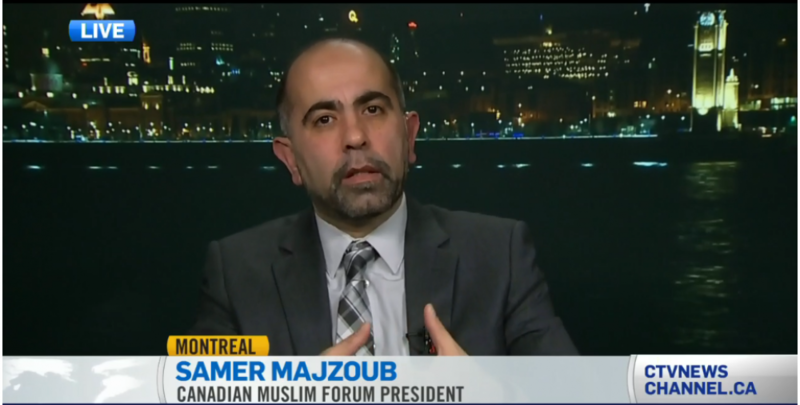 This entry was posted in Tweet and tagged (FMC-CMF), Canadian Muslim Forum, Canadian Muslims, Forum Musulman Canadien, hate speech, Islamphobia, Montreal, Quebec Muslims, Radicalims, Samer Majzoub, vicious attack on citizen of Sikh faith in Quebec city by samermajzoub. Bookmark the permalink.